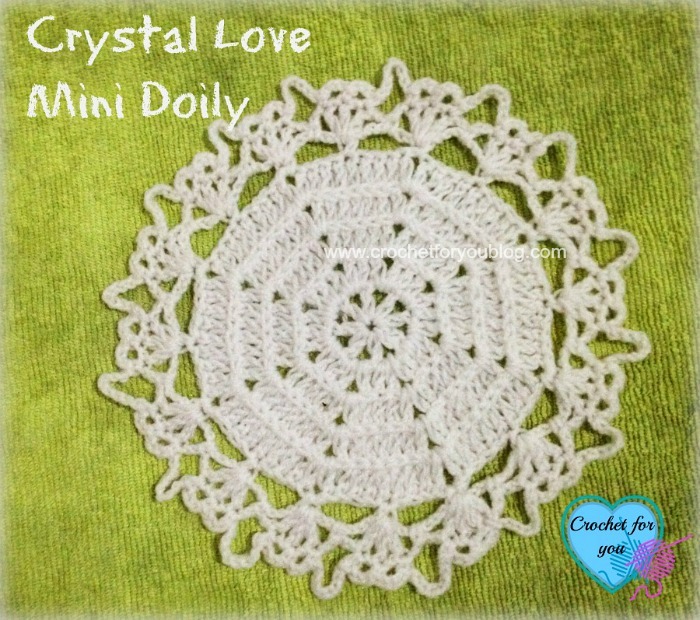 Crystal Love Mini Doily Pattern by Crochet For You. 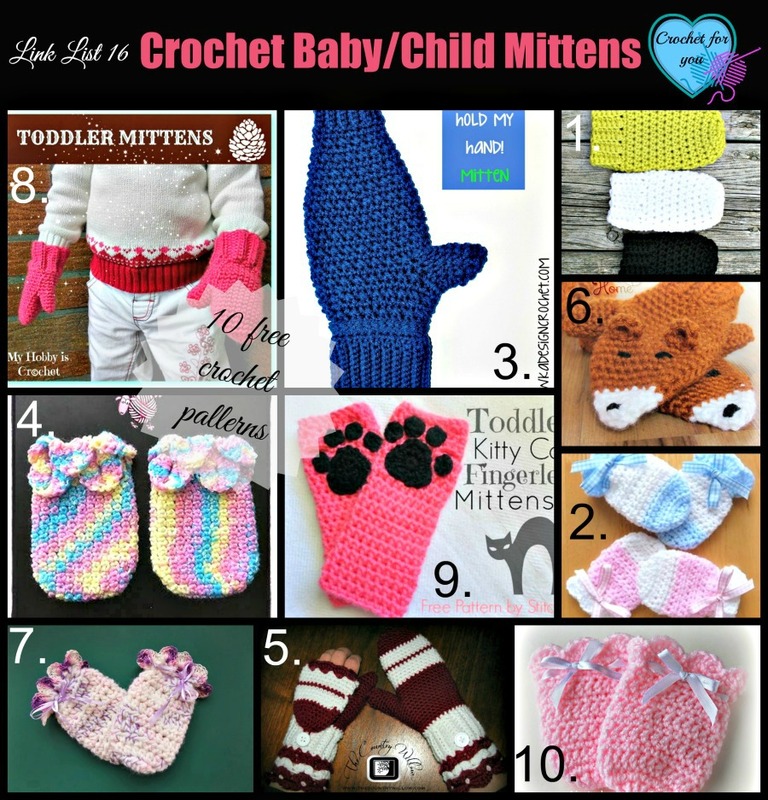 My dear crochet lover friends, Wishing you all happy 2015. 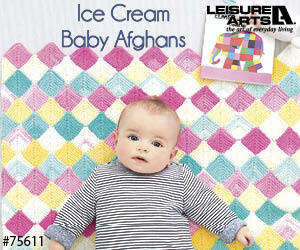 Ready to welcome this new year with new patterns?. No question.. You say yes.. But first of all, I wanted to thank you all for being with me last year. 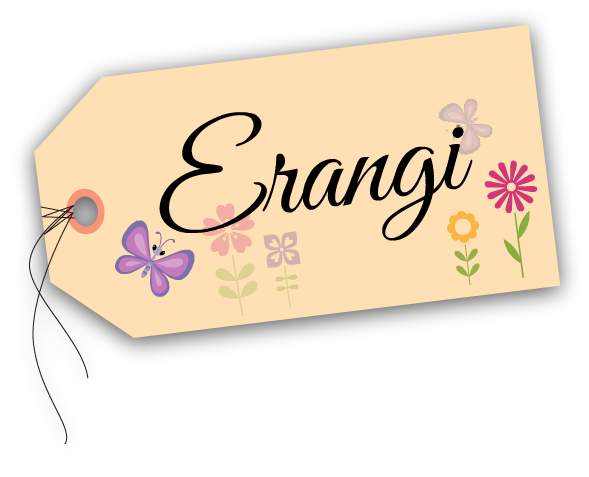 Thank you for all encouragements and lovely comments. You are all welcome once again. Come and continue it, get hooked and making patterns. 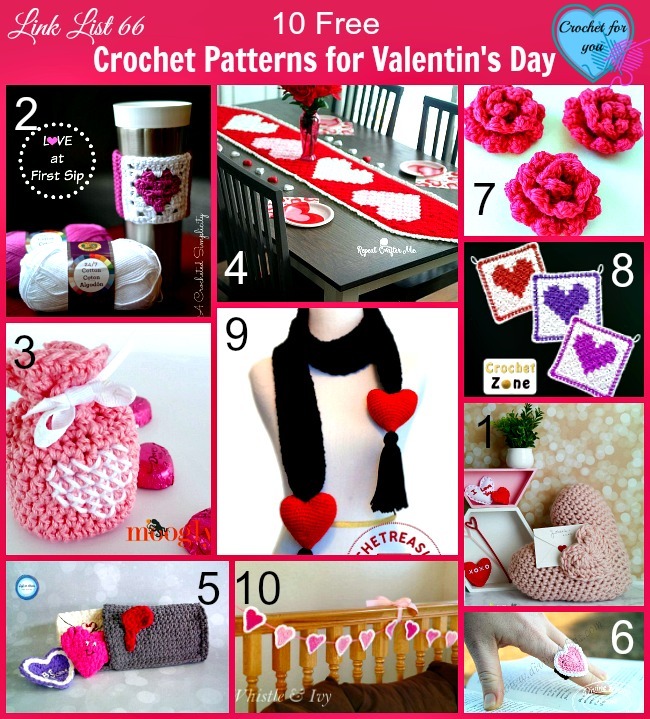 This is the first pattern for 2015 by Crochet For You. 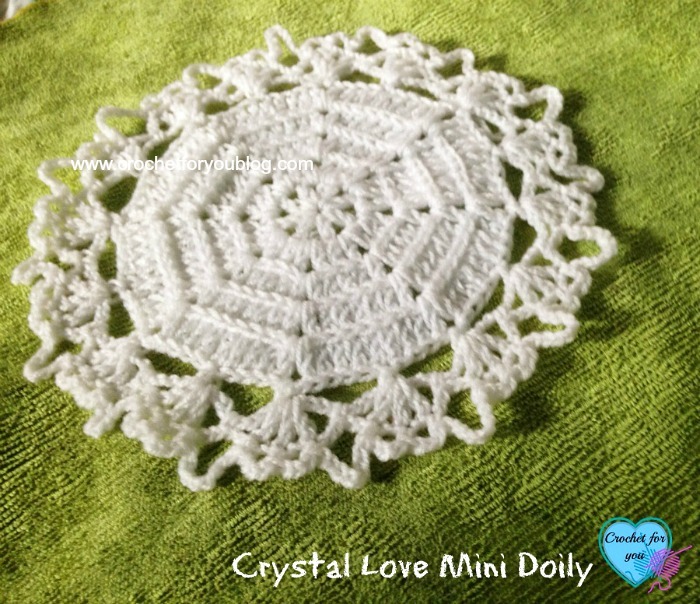 Crochet Crystal Love mini doily pattern. 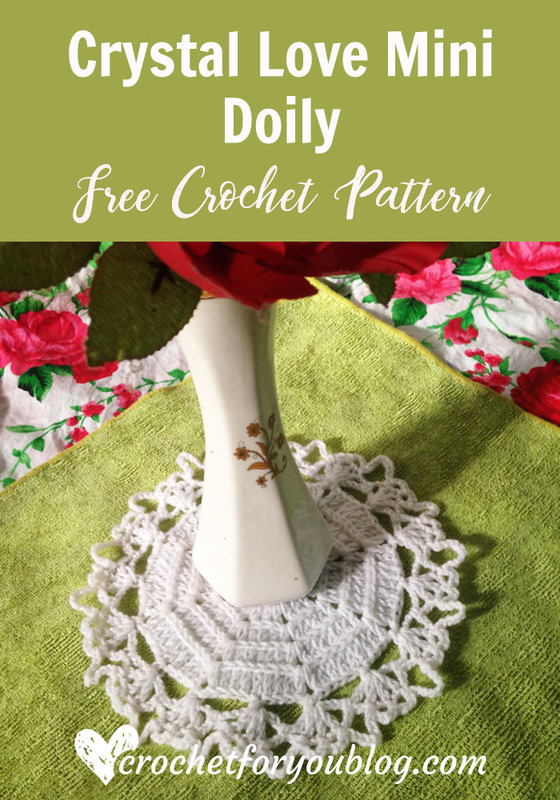 The idea of the name for this pattern by one of my crochet blogger friends. She loves the hearts around the trim. 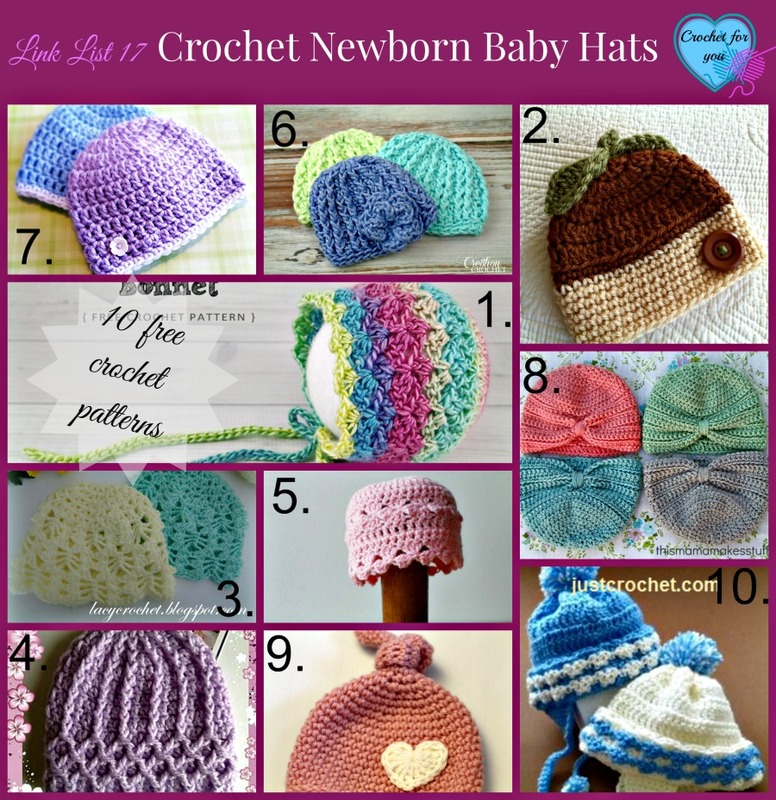 Thank you, Sara Sach and my all crochet blogger friends for the great great help. Gauge: 21 dc, 8 rows = 4” from 4 crochet hook. ch- sp = chain (number of count) spaces. [ ] = work instructions within brackets as many times as directed. v-st = (1dc, ch 2, 1 dc) in indicated st. 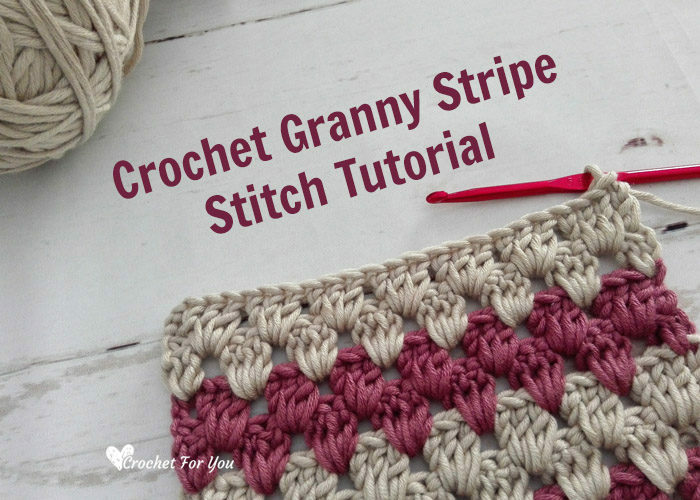 Double crochet in the third loop: You can click here for Moogly video tutorial and check out another great tutorial from My Hobby Is Crochet. 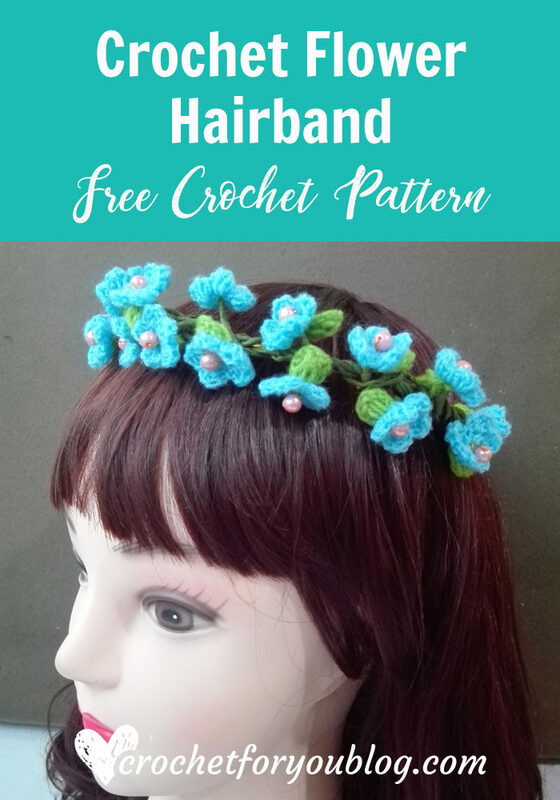 Remember these two tutorials are talking about Half Double Crochet in the Third Loop. 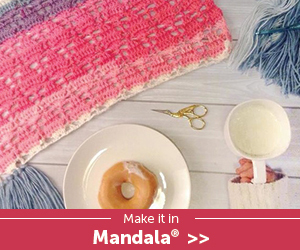 But you can use this method for “Double crochet in the third loop”as same. 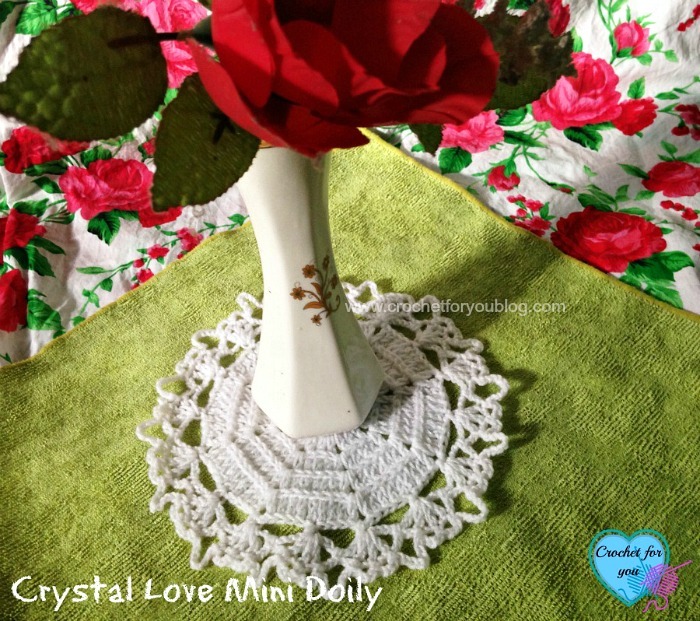 Crystal Love Mini Doily – free crochet pattern.